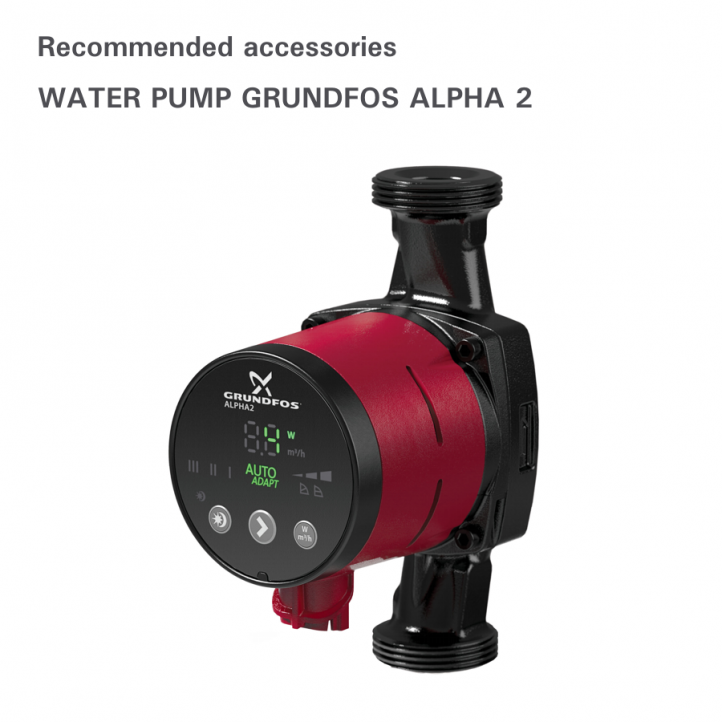 For optimal performance of a heat pump, it is also important to use a suitable tank. 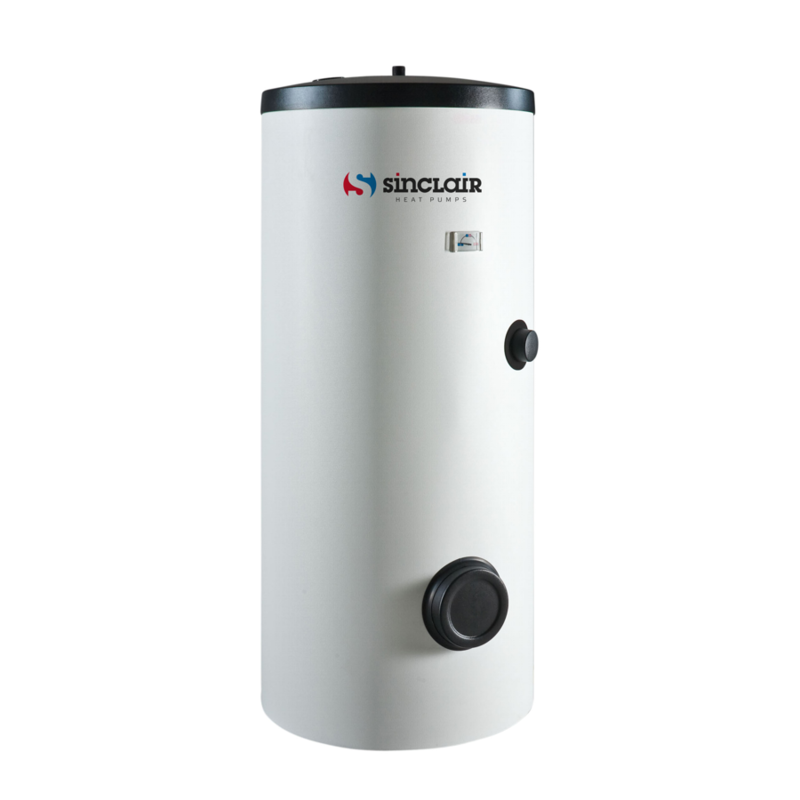 This is why SINCLAIR provides wide range of storage tanks and DHW tanks (domestic hot water), which are optimized for use with heat pumps. We produce standard storage tanks which can store heat when capacity of the heat pump is higher than house demand and can also provide energy for defrosting of the unit. Another type is used to provide hot water for the house. Last type we offer combines properties of both tanks mentioned before. Our tanks are manufactured with aim for best stratification of the water. Stratification is very important for the best performance of the system. When colder water and warmer water is mixed in the tank, temperature of the water on the outlet into the system will be lower. SINCLAIR tanks can prevent mixing of the water, so that the temperature from the tank will be the same as from the heat pump. All parts which are in touch with drinking water are made from stainless steel to prevent from any risk to your health. 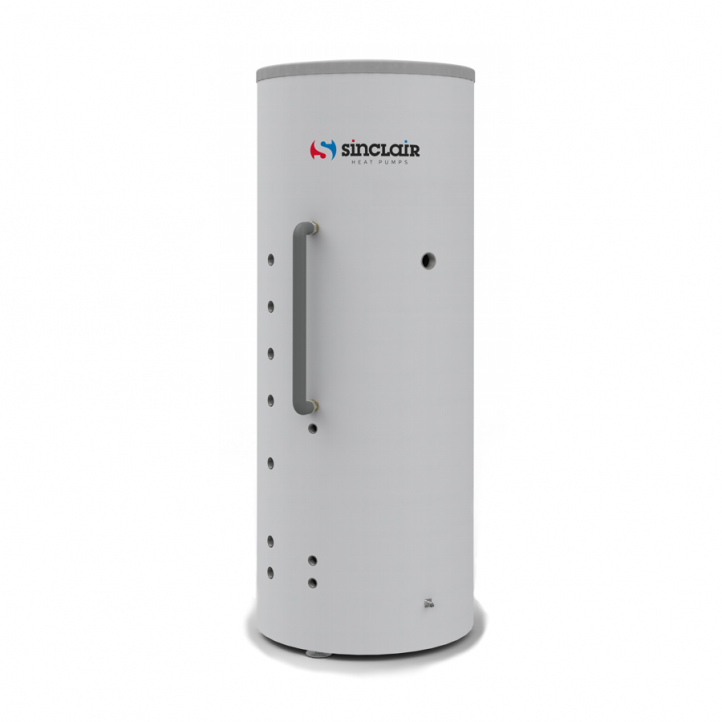 All tanks are also well insulated so heat losses are minimized. Because all of this, you can't make mistake choosing SINCLAIR tank. 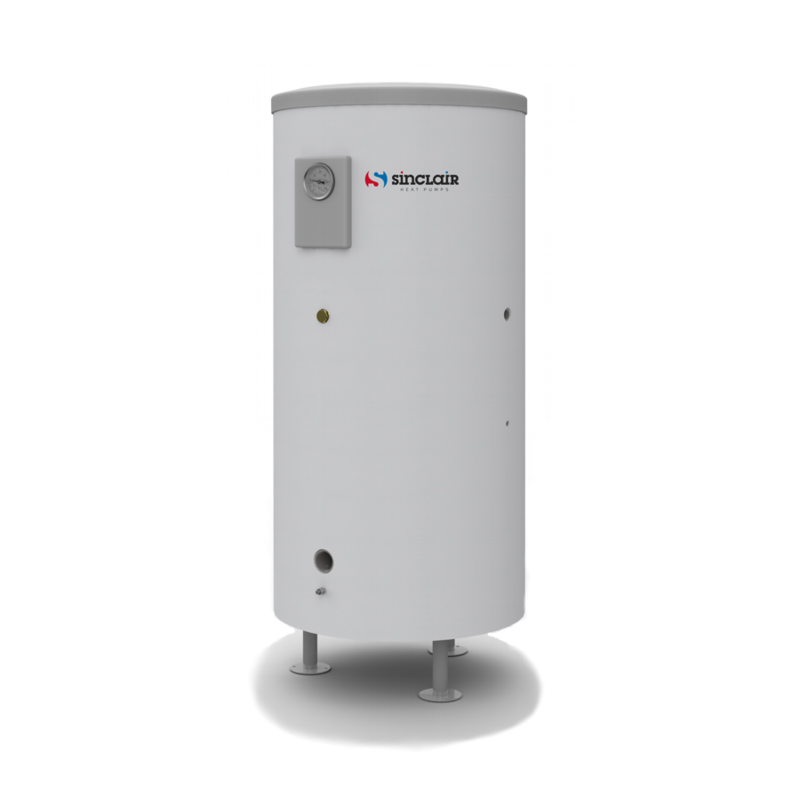 For installations where there is not enough space for two tanks, SINCLAIR has a special solution – combined, two in one storage tank. This device serves as a storage tank for heating water and at the same time also as a tankless water heater for domestic on-demand use. The inner tank is divided into two parts by a perforated plate. 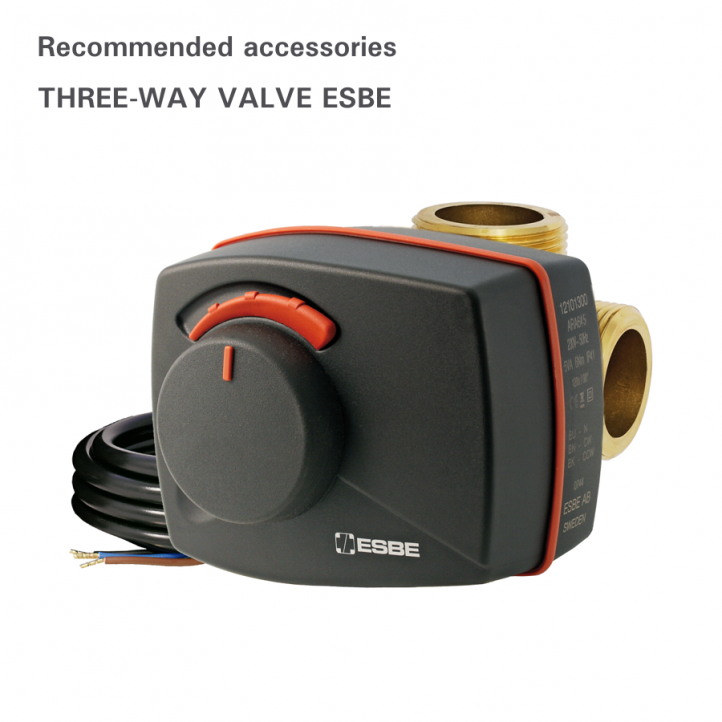 The upper part is for heating of the DHW and the lower part is for storage of the heating water. DHW is heated continuously in the coil which goes from the bottom part (where the water is preheated) to the upper part (where it is heated to final temperature).